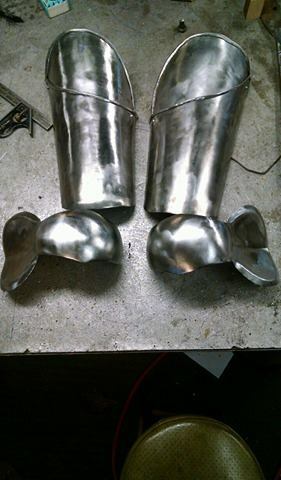 A few weeks ago I commissioned a set of leg armor from a new armourer. He just set up shop this past year. Saw his name on a facebook post and decided to give him a shot. 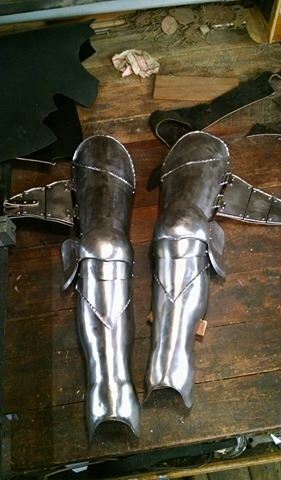 Today my armor just arrived in the mail and I could not be more pleased with his work. 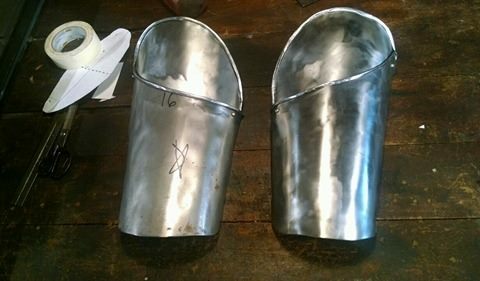 He prices were more than reasonable, and he finished the entire set of legs (cuisses, poleyn, and demi greave) in a little less than two weeks. Throughout the entire process, he kept in contact with me, updating me daily with pictures of his progress and asking if I had any suggestions or wanted to change anything. His name is Sean Ryan, and I am attaching a link to his facebook page in case anyone else would like to give him a try as well. 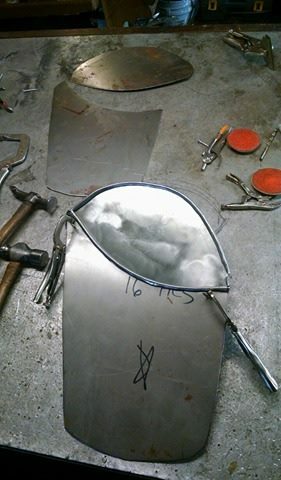 Im also uploading a few pictures of his in progress work that he sent me along the way. He's brand new to the whole armouring thing and I would love to see his business take off!